Creeping around the Internet since 2012, Clean Nice Quiet is a music blog and now former podcast in love with underground punk, rock'n'roll, weird stuff, vinyl obscurities, and what-have-you. The podcast has been put to sleep, and the blog is currently on hiatus. 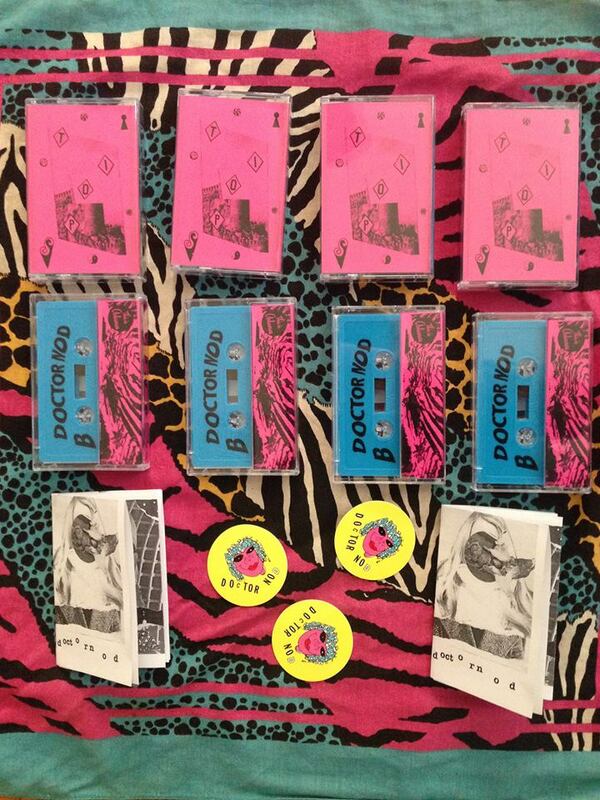 You can still check out Doctor Nod's "Top Tips" cassette, released by CNQ, in the sidebar! Tingo Tongo Tapes is a label based out of L.A., focusing on cassette releases of experimental noise, electronic and non-electronic projects. If outsidery noise art is your bag, you'll want to check 'em out if you're not already hep. Here's a sampling of the Tingo Tongo catalog. I featured BE; on the March podcast. Here's another track off their weird "At The Start." So, yeah, get your freak on with Tingo Tongo Tapes -- they've got new releases in the works as well. Meanwhile, April's CNQ podcast will come out whenever I feel like putting it out. I've been rocking a complete recordings of J.S. Bach the past few weeks and have an acute case of T-Rexstasy as well. "The Slider" is so killer diller. Interlude ….. the ongoing adventures of the great tape to digital project ….. The Briefs - KIDS LAUGH AT YOU b/w SHE'S THE RAT 7"
Doctor Nod: "Top Tips" Cassette from CNQ! 15 tracks, over 30 minutes of quality Arkansan psych-pop. Limited to 100 copies -- comes with sticker and a mini-zine. Click on the pic to give it a listen, order it now from the PayPal Button below. Futures and Pasts: '70s/'80s post-punk obscurities, DIY pop eccentrics, forgotten women of the underground, demos from the newest noisemaking upstarts & more. Off-Center Records in Utica, N.Y.